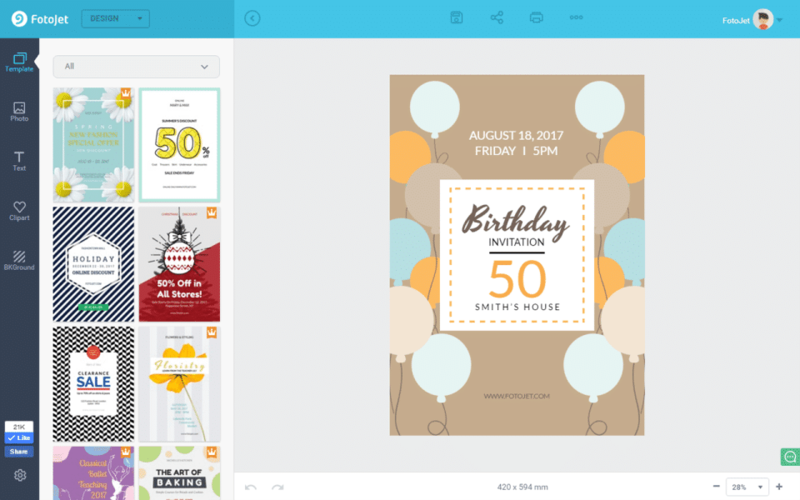 Free application with top-notch design tools. 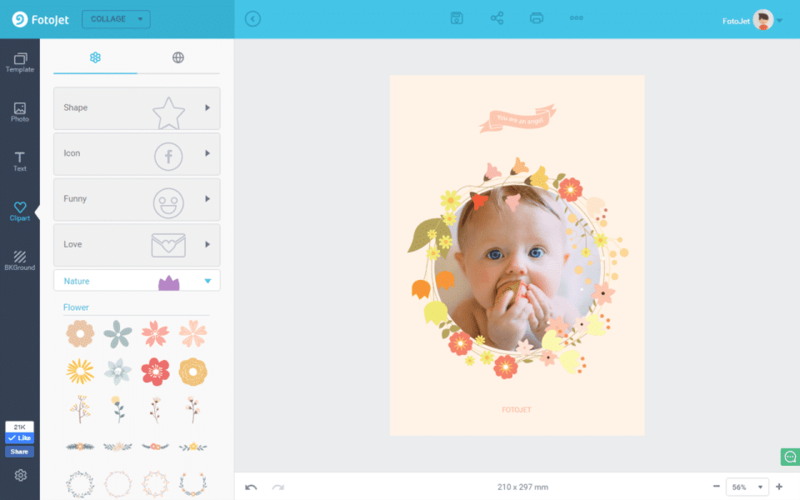 FotoJet is a no cost photo editing tool used to create graphic designs with it’s top-notch design tools. 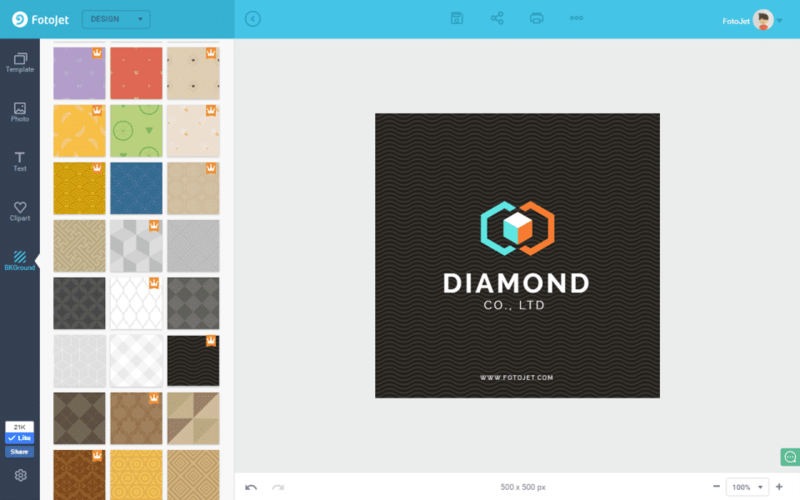 This software gives access to free services such as OpenClipart to personalize your designs. It can be accessed immediately without any registration and allows you to instantly utilize the software. In addition, this software has plenty of templates available in it’s free version that you can use for creating efficient design. It is well equipped with bundle of features such as overlays, fonts and shapes to enhance your designs. It also integrates easily with Pixabay and OpenClipart and provides professional design. How much does FotoJet cost ? The pricing for FotoJet starts at $3.99 per month. 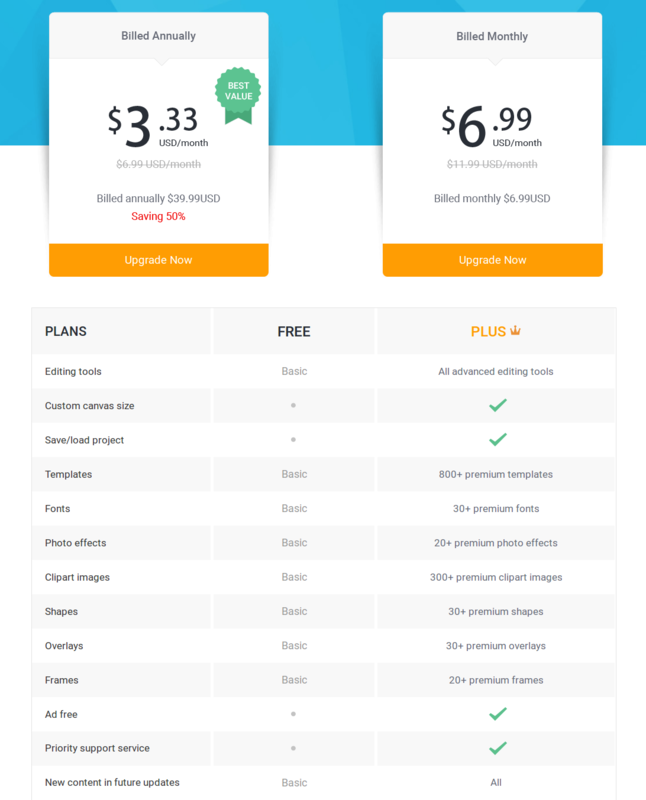 FotoJet has a single plan - Plus at $3.99 per month. FotoJet also offers a Free Plan with limited features. Pros: This basic and simple to utilize app enables me to develop spectacular individual and expert images to utilize in socials media, it is a quick and easy picture editor that uses me all the standard tools to modify such as get rid of haze, selective filter, resize, turn, enhance color, include bullet, make radial focus, modification disposition, splash of color, to name a few. With this application I can likewise make logo designs, posters, invite cards. Cons: The complimentary variation is terrific however you have a limitation of usage of days, it would be perfect for this variation to have a longer usage time. Pros: This photo editor allows me to convert my photographs into works of art, I can apply a template, and also adjust the images freely and as I really want, I can design from birthday cards for my son to banner for social networks, it is easy to use and has a simple interface with which I can edit, design and create collage. I liked it a lot, it's simple but very functional. Pros: It works perfectly in any browser, without the problem of having to download and install it and When you finish editing your photos, you can save them on your computer, print them directly or share them online with your friends and family through the most popular social networks. Cons: The banners when passing it to Youtube have to be redesigned, because it does not reach to leave all the in the box. Overall: It has been useful for my Facebook posts. Pros: If youre looking for beginner design software that costs less than a cup of coffee a month, than FotoJet is a great choice. They offer a free trail in case you want to try them out and they have a ton of different templates. Cons: An internet connection is required which limits the use when traveling. Also, you will need to find other software if you want to do more complex designs. Cons: Can not send the edited photos to the collage or graphic design tool directly. If you do not have an internet connection, you can not use it. If you want to do much more complex jobs, it is not the program indicated. Overall: In my work as a comunity and designer I use Fotojet and I get good quality photo editing for the content of my social networks and in a fast way with which I can share any content without taking too long in editing, the images can be saved in Jpeg and png so they can be saved on any device. 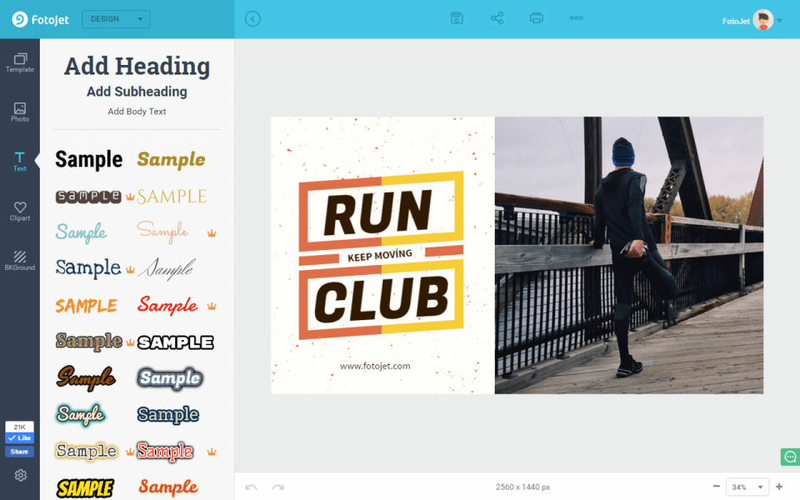 Pros: It is a powerful ,tool, fast and simple that allows me to edit cut, resize to improve my photos in seconds and create a collection of images and has multiple options to make collage, posters, email headers, flyers, cards, invitations, graphics social networks, banners and much more, all with professional aspect. It works perfectly in any browser, and you do not need to download and install. I recommend it. 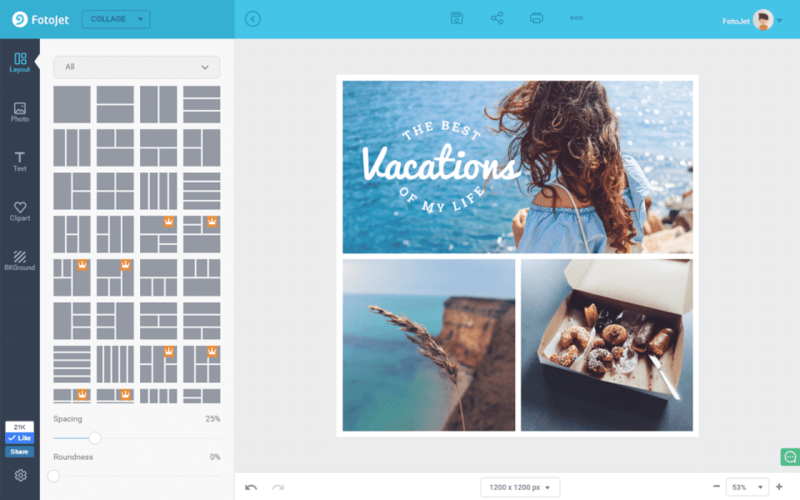 Cons: It's features are pretty limited in comparison to other tools like Canva or PicMonkey. For example auto resizing of your artwork for different social media platforms. Good to have an alternative option with different templates though. Is there any software available for free of cost? Yes. FotoJet is available for free.